February has flown by and I do believe it was my busiest month yet. I have been working on redoing the girls' bedroom and also finishing up a loft space that we have in the house. Today I am here to show you how to make decorating easy with the DIY Home Planner. I'll be sharing a few photos and also how I came up with the inspiration for it. Because let's face it, the last thing I would call myself is a decorator and I certainly don't want to lose my mind over this. Let's take a quick look at the room before. it was a mustard color which really did little to make any of the photography I shot in there look good. But I digress. I don't believe this color is flattering for anyone. Trust me on this... it had to go! I originally set out to decorate the room in my usual haphazard way. However, as luck would have it, KariAnne Wood blogger extraordinaire of Thistlewood Farm put the call out for friends who wanted to review her new book DIY Home Planner, and you know I just jumped at the chance. Ever since I was a young girl I have been obsessed with floor plans, and was delighted to see that KariAnne had a whole section in the book all about how to create your own, and how to position furniture in your room without actually having to move it first. It also has pockets so you can store your paint chips and fabric swatches. A portable decorating mood board, if you will. I also used a fun app on the internet called Roomstyler that helps you create 3D images of your rooms. This gives you a good idea of how your furniture will look in the room. The DIY Home Planner book is divided into sections such as flooring, paint colors, patterns, wall treatments, window treatments, etc. And it takes you step by step, showing you how to create a room. It really helped me to focus on what needed to be done and in which order to do everything. Because like I said before, I tend to be haphazard in my decorating decisions. ​But then something extraordinary happened. ​They approached me about painting a wall a non-white color... for the most part. And this was the result. I have to be honest, I was a bit hesitant when they suggested this idea to me, but boy was I surprised when I saw the result. You can see that the top is painted like outer space and as we come down the wall it turns into the atmosphere, with an ombre effect. ​Reading KariAnne's book was freeing for me because I felt as if it was okay to let the girls do this and not worry so much about the outcome. After all this is our home, we should be comfortable with it and it should be designed for us. ​It should make us happy and bring joy! Normally I would shy away from so much color, but in this space it all came together. So I trusted in KariAnne and let the girls guide me, instead of the other way around, which is usually the case! By the way, if you have ever been to her blog, you will understand why I trust her decorating advice so much. Her home is impeccable and warm, and sweet and so many more things all rolled into one. When the time came to go to Ikea we were ready to choose the right storage units, Billy bookcases of course. And with the help of the Roomstyler we could even visualize the room. That made it easier to plan and pick the right pieces beforehand. ​Of course nothing could have prepared us for this beautiful rug that we found there. It looked as if it was meant to be in that bedroom all along. Notice the ombre effect here? After going over my budget, just a little bit, I even let the girls pick out some cute accessories. The girls in turn were nice enough to let me place my recent painting (my only painting) in their bedroom since it looked like it belonged there. Oh and those lamps, they used to look like this before. You can see how this whole black and white vibe is really coming together. And the blue, well, that was the unexpected surprise of the whole plan. We went with it and have not looked back since. Below is the other space I'm also working on. It's called the loft space for lack of a better word. Just one big space with no walls - just a few windows. We were able to select the flooring after I had figured out the difference between hardwood, laminate and engineered wood is, thanks to the DIY Home Planner. I am so glad to be done with this one. For a while there, I was dreaming gray colors... so many and all with different undertones... who even knew that was a thing! Thank you KariAnne... now I can go back to my normally scheduled dreams. This book that has become my best friend - it even came to Ikea with me - is available now! You can order it on Amazon. Below is the link. And there is even an e-course. It is infused with lots of KariAnne stories and witticisms but most of all it is full of hard earned advice for us folks who need all the help we can get when it comes to decorating. If you have decorating dilemmas this is the book for you! Now you too can decorate the easy way with the DIY Home Planner because not all of us were born decorators. ​In the coming weeks I'll be sharing lots more projects for these rooms that have become our new home. Amazing Mary, love the job your daughter did with that wall. I can envision a wonderful room, the tips from KariAnne mixed with your own style will make a totally different room for sure. I can't wait to see more of it, go and keep working lol. Oh and thanks for the room planner, I haven't heard about it but I will have a look for sure. They really surprised me Pili. And I'm so glad that I went with their ideas and let them do what they want. It truly was a revelation for me. 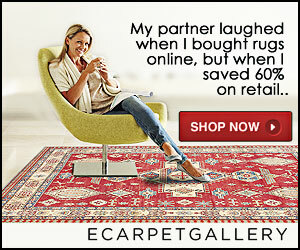 I know Michelle when I saw that rug I looked at the price which was over the budget and said "You only live once". It was the perfect rug for that room!! And that book keeps me organized because otherwise I'd be in big trouble. That’s a great looking wall Mary, and the little ‘stars’ are just the right touch. You’re having lots of fun in your new space it seems :). Doreen I am doing a lot of new to me things and really enjoying the whole process. The girls and KariAnne have really inspired me. This book seems so useful and helpful Mary. I really loved the space part of the wall! The girls are so talented. That wall really makes the room come alive Katerina. Originally we were going to go with all white and have black and white furniture but this wall along with the rug really anchors the whole room. Decorating can be very a very intimidating process for a lot of people. It's nice that there are so many resources out there to help. In the end, I think that all you really need is your gut. Go with what you love and you'll end up happy....like your girls!! Nice job! Your gut of course, but in my case a little help to get me organized as well. Originally we were going to go with all black and white but now with the blue in there it makes a huge difference and gives the room that something extra. Karianne's book looks wonderful and a great resource for decorating. Pinning for later. It has been such a great way for me to focus on which tasks need to be taken care of first. I was surprised too Nikki but once I started reading it, well it made things so easy. It is laid out in such a way to help you go through each task and also coordinate all the different elements. I do that too, second and third guess myself. I am on a roll now Cindy. I'm working on three rooms at the same time. I must have lost it somewhere. Haha!! The bedroom is turning out so nice. I love how your putting everything together. I am intrigued with the book, but I have to say I don't find your style haphazard at all. Your stuff is typically very well done on a budget. Love the room and looking forward to the next one. Leanna I love refreshing things but when I put them in a room sometimes it looks like it's too much. In this case we are being very deliberate as to what goes in the girls's room and what stays hidden. That book has really helped me to focus instead of being all over the place. I find as I get older it gets harder to concentrate on one thing. Or maybe it's the Internet's fault. I'm so sorry you didn't get to meet KariAnne. I would love to meet her one day and I know she will be exactly the same as she is when we see her on the blog and on the videos. Hi Mary, you've done a stellar job there (sorry couldn't help myself!). That feature wall is lovely. The ombre affect is wonderfully different and as for that rug? It certainly looks like it was meant to be. Your girls are lucky to have such a creative Mum, with or without the help of a book. It is a very appropriate comment Debbie since they will be adding starts to the ceiling just to really go all out. We've been cramped for a while now so it was time for them to have their own special room. Oh I think I need a copy of Kari Anne's book too Mary! I love how the wall turned out and that rug oh my! I can imagine how much fun you girls are having styling the room and can't wait to see more of it!! You would love this book Katrin. It even has pockets for you to store your swatches in. But most of all it has heart, she really is very inspiring. Looks like it turned out nicely Mary! That book was evidently a huge help to you. I might have to take a closer look, and if the girls like it...whoa! The book is set up in such a way that you can do each task step by step and it helps to coordinate everything instead of just picking one area. That way the whole room looks put together. And she is truly a wonderful lady! Awesome! Me, I'm not that afraid of colours and colurs-blazing single walls (but the hubby isn't - nor are the boys) and this wall is amazing! I love it! I think anyone can love this wall because although it is intense it is not huge and the closet breaks it up so as not to overwhelm. And the rug just echoes that color and anchors the whole room. I am so happy to hear that you enjoyed the post. And to think that it was going to be a plain white wall till the last minute when the girls came up with this brilliant idea. I bet your daughter loves it! i am so happy that book has made you venture out into rooms, thats a great inspiration for you! I love the rug, colors remind me of Greece. Maria the book inspired me to take chances that I would not have otherwise. That to me is a gift. As is KariAnne's talent. That book sounds wonderful, I think I need to add it to my reading list. Your room turned out lovely, the colors are great. Thank you Sarah, sometimes it is worth it to take someone else's advice especially when in the case of KariAnne she knows what she is talking about. Oh Mary! This wall is art! I told you again when you first saw it to me this photo! Your girls made such a gorgeous work! And what about this book? My God! I need to have one of this! You don't need this book Christina. You can write one all on your own and share your wisdom. Your decorating is impeccable. I'm also one to be a bit hesitant about experimenting on walls, but this one turned out so well. I love the ombre effect and the matching rug, too. Just beautiful! Going to have to check out the DIY Home Planner, too. I love learning as much as I can about design and space planning. Thanks for the recommendation, Mary! The girl's room looks fantastic. I bet you all had so much fun shopping for the storage and all the sweet touches. Oh Mary the girls room is turning out beautifully! Love the ombre effect, I haven't ever seen that done to a wall before. Can't wait to see more. I remember seeing recently Kari Anne having a book signing here in the DFW area, and would of loved to go. This is amazing! I never realize there was a book like this! Your ombre room looks AMAZING!! I love what you did with it! Mary, the book sounds splendid and helpful in decorating a room. The room you and your girls are decorating looks fantastic! I love that sky wall!!!! I want that room for my boys! That is so calming and energizing at the same time. Wonderful job with the ombré and all the blues once again, Mary! Will check the book out.